For those who have been united in marriage relationship, the needs must be greater than before. When you live by yourself, you don’t need to save more money to deal with household needs. You just make saving as big as the rest of money on each month. When you have been married, you cannot stand to be independent. You have to think about how to manage household financial. There are still so many plan and targets which are going to be reached together. Therefore, this is important for you to know the enticing tips to be prudent and happy after marriage. So, you will not have financial problem in the future. 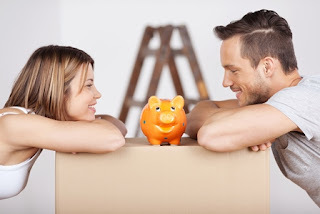 In order to deal with prudent and happy life, you can start dealing with serious financial plan. In arranging the financial plan, you can determine what to be needed and important for this month. You have to make sure that every single cash flow is on right track. In order to make the whole things in the right track, you have to deal with financial note. You can write every transaction on that note. When you have made clear shopping list, you will not get extra budget. You just put and pay the stuffs which are really needed. In this new life, you are intended to be mature than before. You have to separate which one is essential and the less one. If you always deal with the priority, you will not have financial problem. Your salary must be in good condition and it can be also allocated for investment.